Let your homeschoolers create their own works of art… in the coolest of ways! Are you running out of art ideas? Then this is the freebie for you! You will discover that you don’t have to search far for fun and creative art projects. These activities help your homeschooler to think outside of the box and to use their imagination in creating unique masterpieces. Make art the heart of your homeschool play and learning activities. 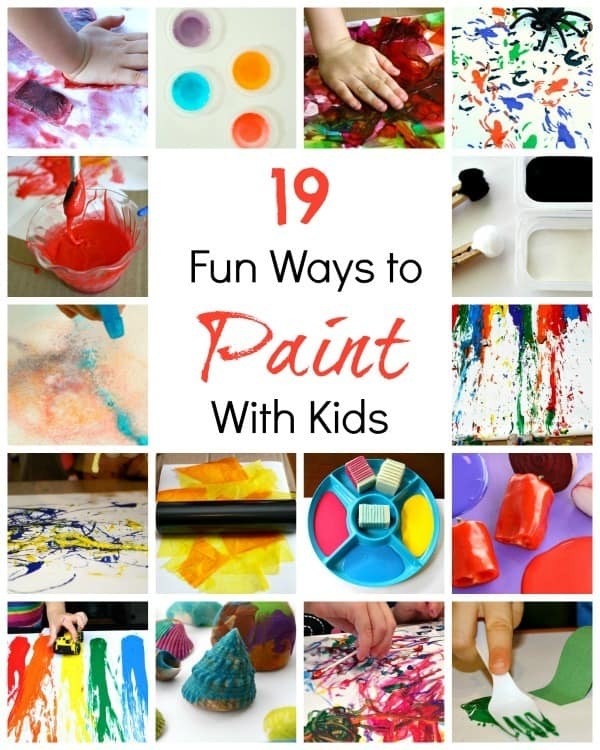 Click here for 19 fun ways to paint with your children.